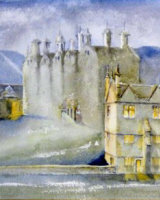 All my work is original and is either painted on site or from many detailed photographs that I have taken myself. I am inspired by interesting architecture and landscapes of all kinds and have particular interest in the way that changing shadows of the day influence the mood of the image portrayed. 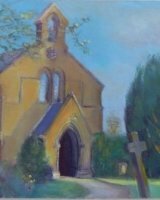 Painting on location lends itself to watercolour, however certain scenes and places encourage the use of other media such as pastels and oils, see gallery/images for full details. 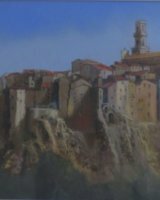 The sizes of the images shown do not include mounts or frames, all the art is signed and features a short detail story of the scene. Please click on gallery to explore your favourite locations. Really like the website, well done Lin. Its lovely to look at all the pictures. Fossola Cinque Terre, west coast of Italy.